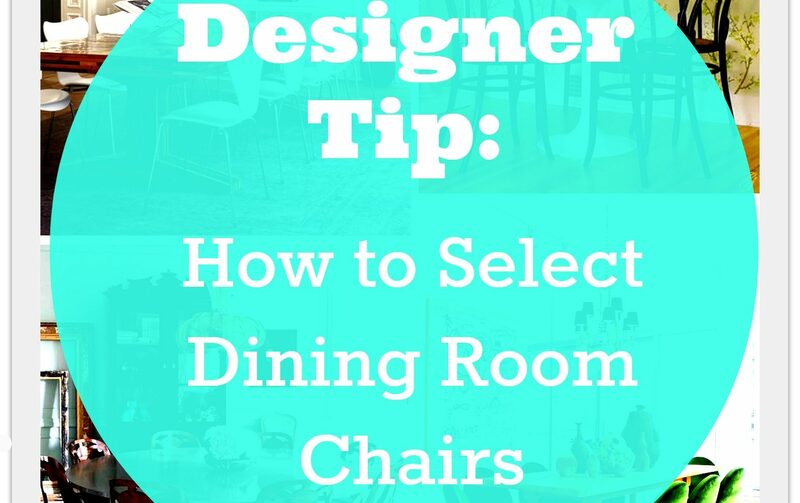 Designer Tip: How to Select Dining Room Chairs | Havenly's Blog! Okay, please tell me someone else has had this experience, too. You find a dining room table that you LOVE….but the matching set of chairs is just out of your budget/out of stock/looks too catalogue-y/(insert first world problem here), prohibiting you from buying the whole set. It happens! You will come up with a plan and make it work. But of course making this decision on your own can be intimidating (you are buying 4, 6, 8, 10 of them after all!). 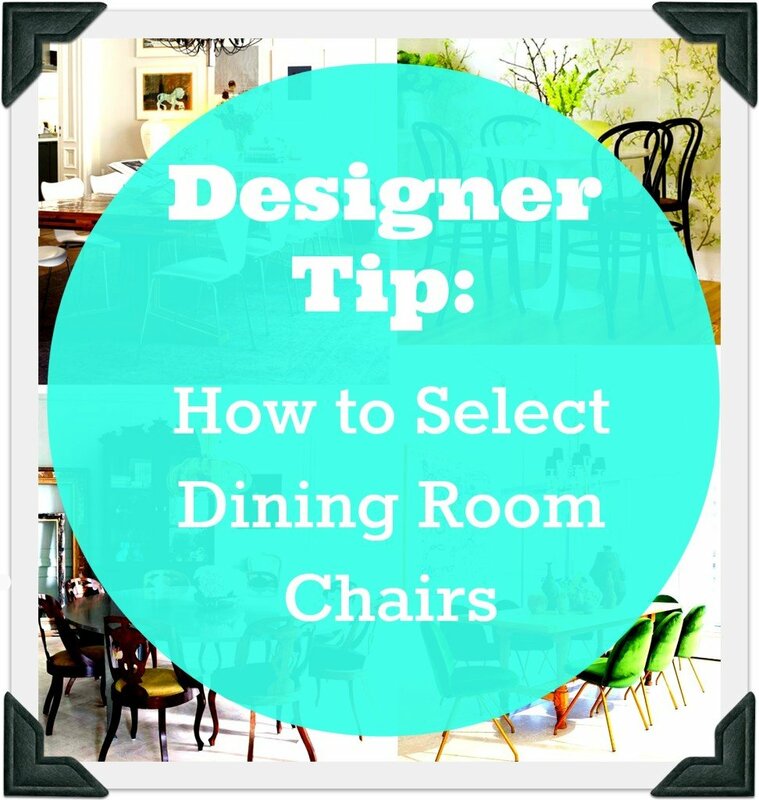 TIP#1: One of my favorite dining room looks is to compliment an old traditional table with more contemporary chairs, or vice versus. Gone are the days of matching dining room furniture sets. 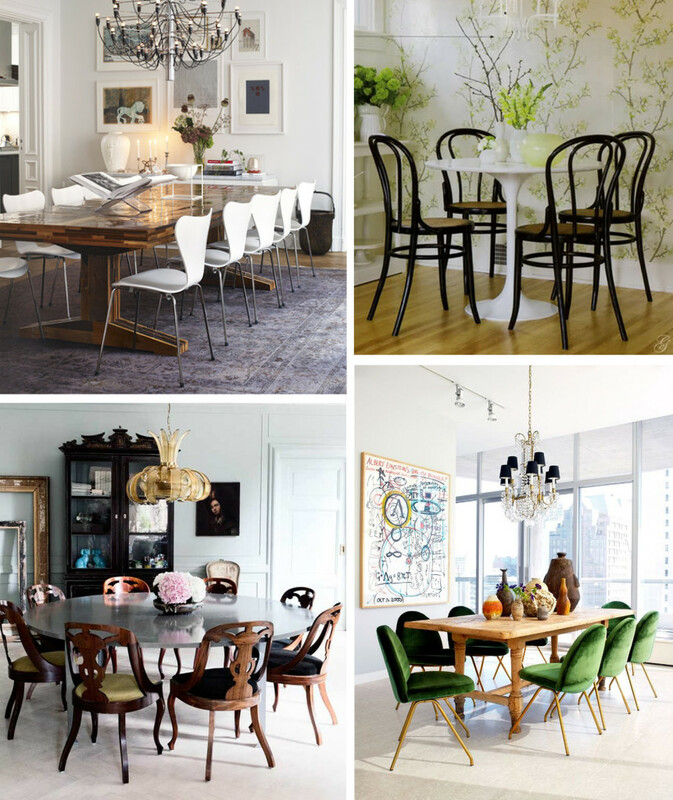 TIP #2: With a simple neutral table, I like mixing various styles of chairs. Just keep within a similar color family or style to create some consistency. TIP #3: Choose something comfortable. There are a ton of great upholstered chairs out there right now, but one of my favorite tips for making a stiff chair more cushy is to drape a sheepskin over it. TIP #4: Don’t limit yourself to chairs. Benches, settees, and banquettes are a great way to add seating as well. A traditional settee can create a more formal look, a banquet can create a built-in/custom look, and a bench can create a more relaxed, casual feel. 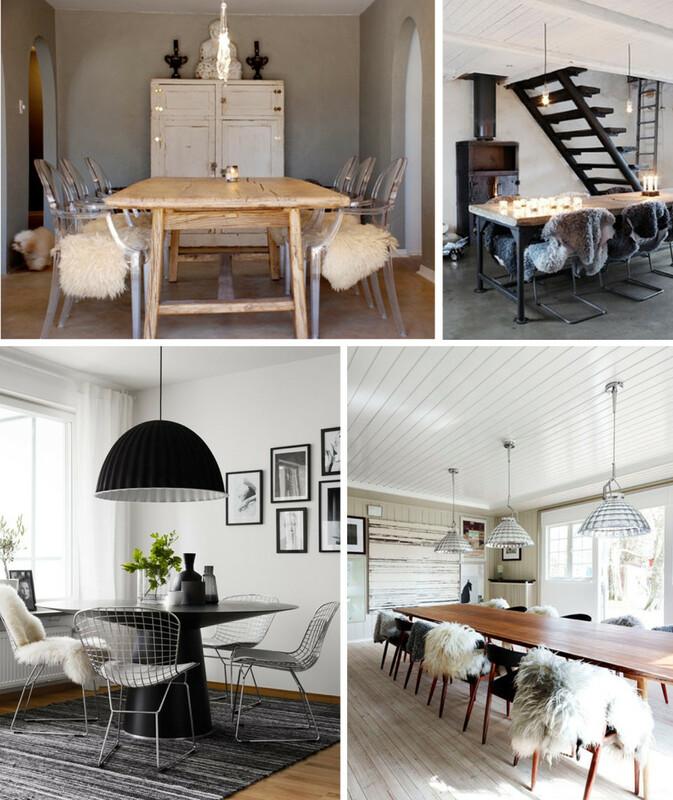 I just love all the liberties you can take in furnishing a dining room that expresses YOUR personal style. 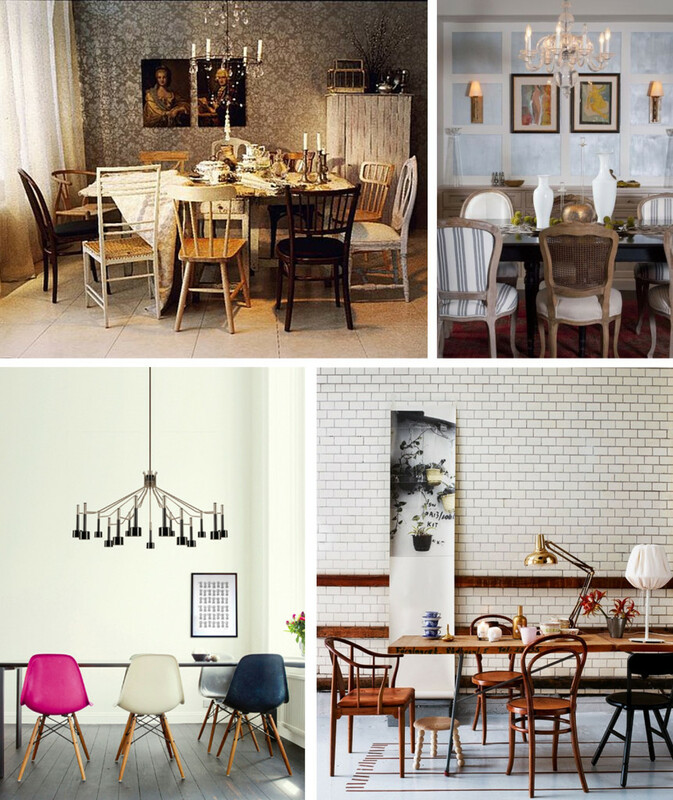 Are you happy with your dining room chairs? Any new ideas/tips to share?